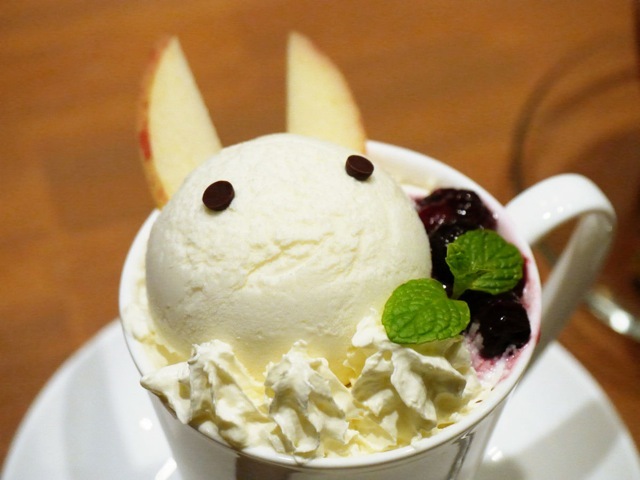 Japan is home to a number of different themed cafés. Some are stranger than others, but you can be sure that this trend is only going to get bigger. 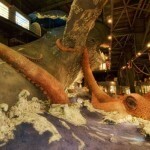 Next time you are in Japan, make sure to check out these weird and fun cafés. Created back in the 1940s, Moomins are hippo-like characters that became super popular in Japan. There are a number of books and comics about Moomins and they even have their very own themed café. 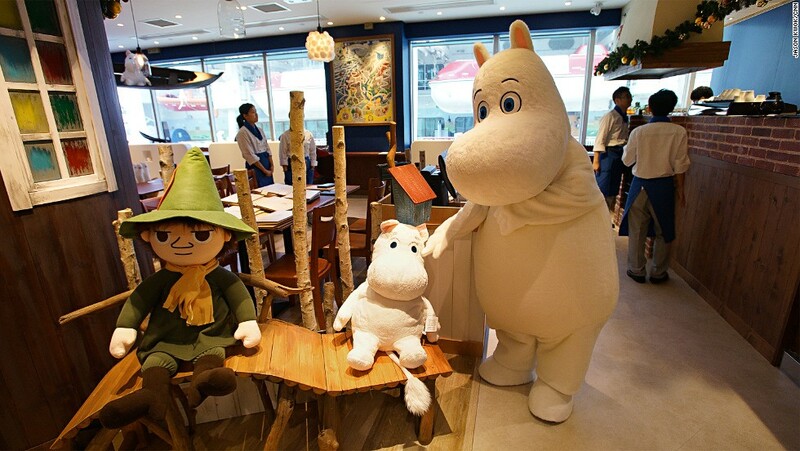 The café is decorated with giant stuffed Moomins and they serve delicious teas and snacks. 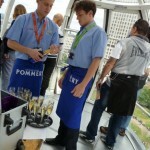 They also serve sour rye bread, which is popular in Finland and that is fitting because a Finnish artist designed Moomins. Tokyo has some awesome shopping especially at the shopping district Ginza. 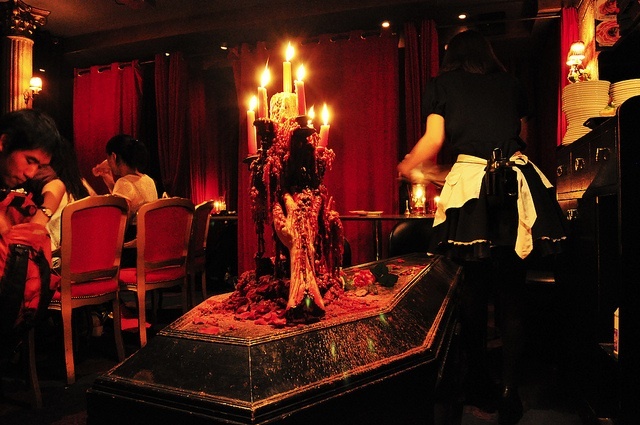 You can also find the Vampire Café at the luxurious Ginza. The Vampire Café is complete with crazy decorations like deep red curtains, giant coffins, mirrors with bloodstains on them and even coffin shaped menus. 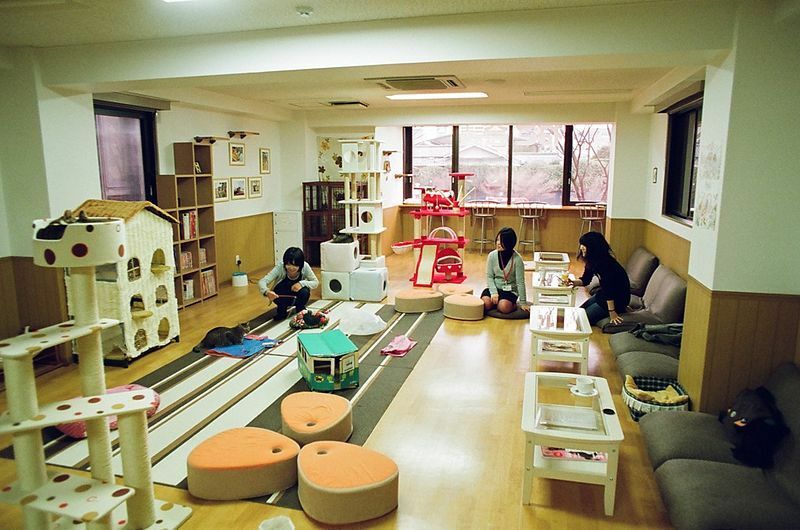 You may have heard of the popular cat cafés located in Japan. Well that is because a lot of apartments do not allow pets so cat cafés started to pop up all over Japan so that people could spend some time with cats. You pretty much buy some coffee or tea and sit with cats and play with them and pet them. This idea has caught on across the world and there are even cat cafés in New York City and California. 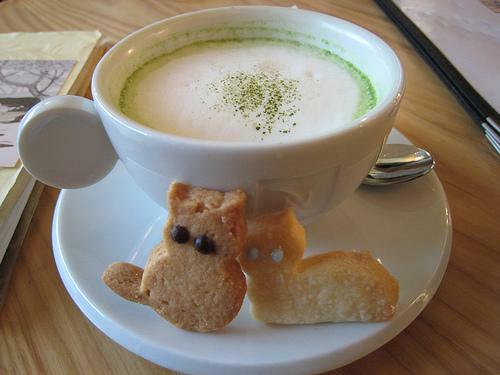 Staying with the animal theme, the With Bunny Café is similar to a cat café only it features bunnies. The café has several different rooms and you can buy treats for the animals and choose which bunny you want to spend time with based on their personality. It is a lot of fun and a great way for people to spend time with animals and help keep animals off the streets. 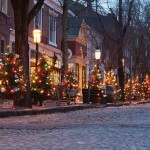 Feature image courtesy of infobarrel.com.